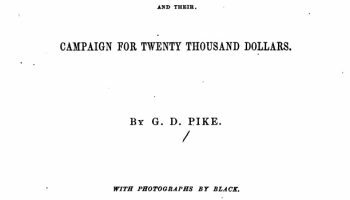 G. D. Pike, The Jubilee Singers and Their Campaign ... , 1873. 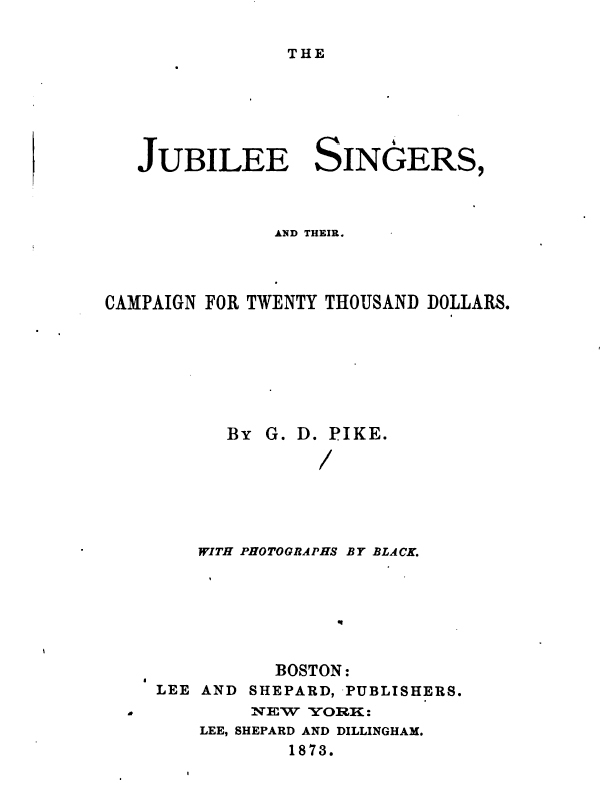 Songs of the Jubilee Singers, 1881. Music Division, Library of Congress. 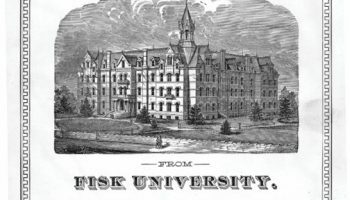 Through the Jubilee Singers’ daring plan to fund Fisk University’s first great building, we watch as the imposing structures of the black universities rise, emphasizing the freedmen’s determination to attend school in large numbers and to establish and sustain educational institutions at all levels. “They’re fighting for something they want,” students observe. 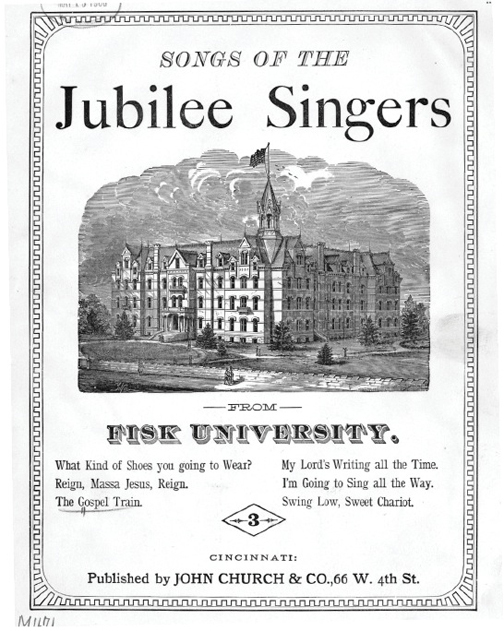 “They decided to sing so they could have better facilities, so they wouldn’t be treated the way black people were being treated.” And students — following the freedmen’s example — look into the settings in front of them and see growth and change beyond: “They’re adding on because more people are coming.” Selections in Additional Resources suggest how Jubilee Hall and the Jubilee Singers have endured through the twentieth century and into the present. CLARA: I like that idea. NEIL: It doesn’t have anything to do with the other sources, but it’s from that time period. TEACHER: Neil says this doesn’t have anything to do with the other sources. ELENA: It’s the same time period. BETHANY: They’re fighting for something they want. For more student responses, click View More. CLARA: They needed money, so they decided to sing so they could have better facilities, so they wouldn’t be treated the way black people were being treated. So it does have to do with the other sources, because the people in the pictures, they’re just being sold and being whipped, but these people are standing up. ELENA: I have something to say that might be a connection. Clearly, if they’re going up to the north to raise money for their thing, they can’t find much support in the south. LOGAN: Some of the students are going to raise money by giving concerts. BEN: They need to expand it, because there are so many students, so they need more buildings. Where’s the “Jubilee” come from? Doesn’t that mean party? LEILA: I think they’re all black, but the people sitting down are women and the people standing up are men. TEACHER: What else do you notice? KAYLANNA: There’s people in the windows. ORLANDO: Are those people outside for a reason, or are they just leaving school [at the end of the day]? ALEX: I notice the scaffolding. JACK: Maybe they’re adding on because more people are coming. ALEX: This is kind of, like, the good side of Reconstruction. For more additional resources, click View More. Text: Nikki Giovanni, “The Fisk Jubilee Singers,” On My Journey Now: Looking at African-American History Through the Spirituals (2007). Text: Grandison, Kenrick Ian. “Negotiated Space: The Black College Campus as a Cultural Record of Postbellum America.” American Quarterly 51:3 (September 1999), pp. 529-579. (The American Quarterly is published by the Johns Hopkins University Press.) This article is also in JSTOR, a database accessible through many libraries, including the Boston Public Library. (The permanent link in JSTOR is http://www.jstor.org/stable/30042182>.) If you are having difficulty finding the article, please contact us and we will try to help.